The Toronto Police Service is alerting the public to a sexual assault. 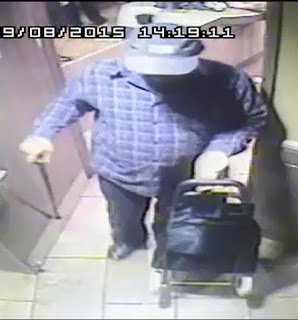 The man is described as brown, 5'9" to 5'10", heavy set, black beard and moustache, and wears his hair in a ponytail. 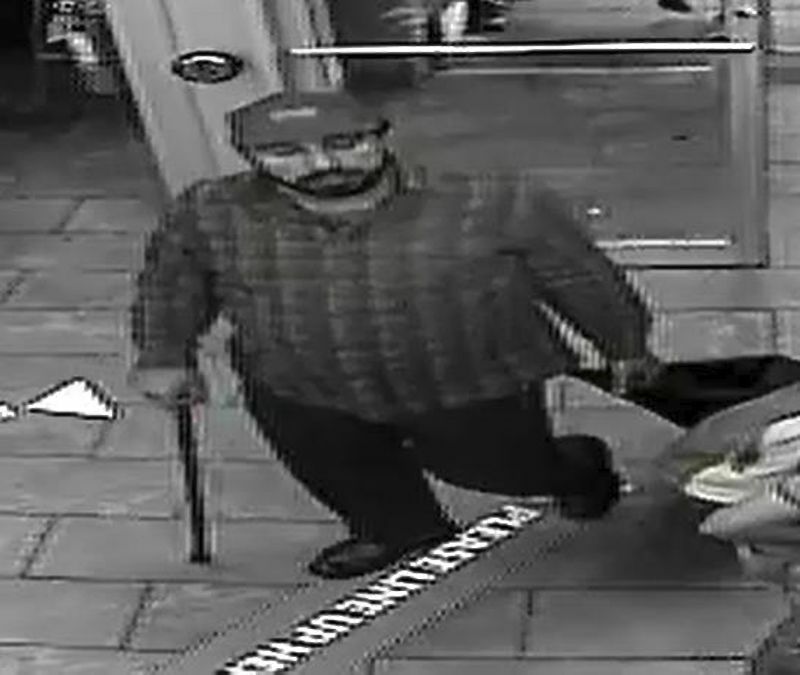 He was wearing a blue plaid long-sleeve shirt, dark pants and dark shoes. He was carrying a cane and had a roller-bag. A security camera image of the man has been released. Anyone with information is asked to contact police at 416-808-5100, Crime Stoppers anonymously at 416-222-TIPS(8477), online at www.222tips.com, text TOR and your message to CRIMES (274637), or Leave A Tip on Facebook. Download the free Crime Stoppers Mobile App on iTunes, Google Play or Blackberry App World.